Uber sustained bad press over its treatment of female employees. Now Italy's banned them completely. What next? Ride-hailing company Uber saw one of its worst days in recent times. First up was 'damage control' from the company in response to February's bombshell lawsuit from Google's Waymo on Friday, 7 April. Now, Uber's been hit with their latest regulatory roadblock – they've been banned in all of Italy. While Uber is remaining defiant and hopeful on both fronts, things aren't going so smoothly for the ride-hailing service. The lawsuit, filed by Google in February, alleges that Uber straight up stole Waymo's 'self-driving secrets'. The lawsuit, won't be going before a jury until six months from now in October, but Uber is already on the backfoot.It all started when Waymo, in its lawsuit filing, alleged that former Google employee Anthony Levandowski "made off with 14,000 confidential documents and trade secrets". He did this before setting up his own company, Otto. Otto was then acquired by Uber for approximately $680 million, barely six months after it was founded. It all started when Waymo, in its lawsuit filing, alleged that former Google employee Anthony Levandowski "made off with 14,000 confidential documents and trade secrets". He did this before setting up his own company, Otto. Otto was then acquired by Uber for approximately $680 million, barely six months after it was founded. The crux of the lawsuit revolves around what one would think is the most crucial component to building an autonomous vehicle. That part is LIDAR. LIDAR, according to Wired, is "the radar-like system of lasers that creates the digital map each car needs to navigate the world safely and competently". The suit alleges that it looks very similar to Waymo's. According to reports, Waymo reps got wind of this because of a third party supplier that both companies use. An email that was solely supposed to go to Uber, was also sent to a Waymo rep. In a nutshell, the suit adds up to patent infringement, competitive advantage, and trade secret theft. The last part of that is targeting Levandowski. “Waymo’s injunction motion is a misfire: there is no evidence that any of the 14,000 files in question ever touched Uber’s servers, and Waymo’s assertion that our multi-lens LIDAR is the same as their single-lens LIDAR is clearly false,” said Angella Padilla, general counsel to Uber, in a statement. “If Waymo genuinely thought that Uber was using its secrets, it would not have waited more than five months to seek an injunction. Waymo doesn’t meet the high bar for an injunction, which would stifle our independent innovation — probably Waymo’s goal in the first place,” she added. Uber have doubled down on their claims, arguing that they began developing LIDAR technology almost a year before Levandowski came to Uber. Further, Uber claims that it uses multi-lens LIDAR sensors, and not the single-lens designs that Waymo claims were stolen. This sensor was purchased from Velodyne. Uber also says that only one of the 14,000 documents ended up with Uber. The latest setback for Uber though, came this week, when a judge presiding over the case said he might grant a preliminary injunction to Google. This could scuttle Uber's robocar technology as they may have to halt all testing until the case is resolved. To limit the damage from this ruling, Uber simply issued a response. Uber, at the moment, has dozens of driverless cars - Volvo XC90 SUVs - in Pittsburgh and Tempe, Arizona. Uber, for its part, wants to avoid a messy trial. Hence the company wants to move the case into arbitration. The case should be subject to an arbitration agreement based on Levandowski's employee contract. Nonetheless, as things stand, the trial is tentatively headed for an October showdown. The next hearing, on the injunction, is scheduled for 3 October. “We will appeal this ruling that is based on a 25-year-old law. Now the government can’t waste more time and needs to decide whether it wants to remain anchored to the past, protecting privileged profits, or whether it wants to allow Italian to benefit from new technologies," Uber's lawyers said in response to the ruling. The legal battles began in 2015 and this is the fourth ruling by an Italian judge in favour of major taxi associations in the country. 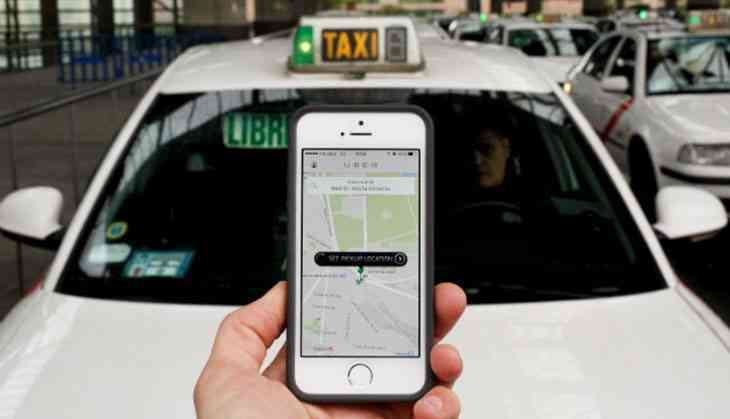 Uber has 10 days to appeal the ruling, or cease all operations in the country. For every day it continues before that, it incurs a $10,600 fine.These two bits of news coupled with the backlash over its treatment of female employees ends a rough last few weeks for the global leader in ride-sharing apps. These two bits of news coupled with the backlash over its treatment of female employees ends a rough last few weeks for the global leader in ride-sharing apps. TWEET THIS #Uber's banned in Italy and a lawsuit with Waymo is fast approaching. They've had a pretty rough week Uber sustained bad press over its treatment of female employees. Now Italy's banned them completely. What next?